A one time democratic candidate for President of the United States, Bernie Saunders created quite a stir and started a fire under many voters. 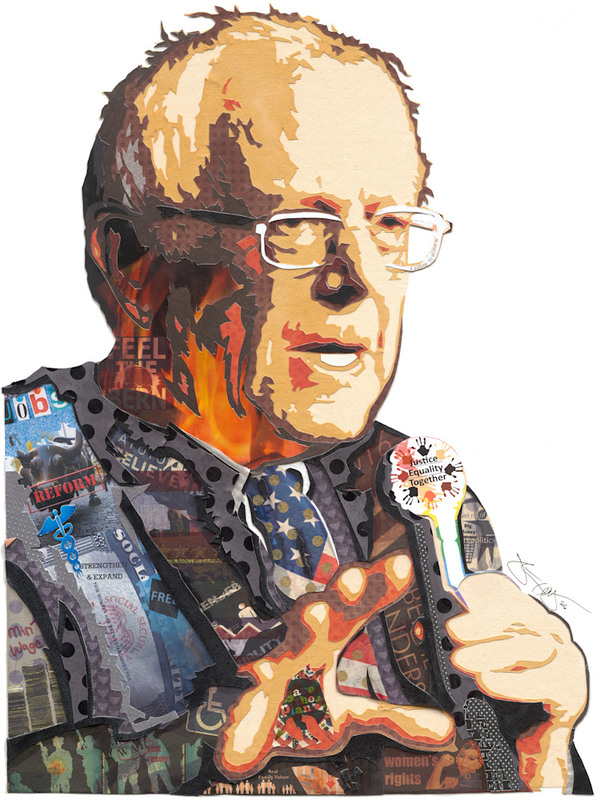 This piece encompasses the issues addressed by Bernie on his journey to the White House. A democratic candidate for President of the United States, Bernie Saunders is creating quite a stir and starting a fire under many voters! This piece encompasses the issues addressed by Bernie on his journey to the White House. Limited to 100 prints, this has the potential to become quite the collector item. Get yours today!